Just Jingle: Simon Says DIE! Wait...what? It's time for a brand new challenge over on the Simon Says Stamp Challenge blog and this week is an EASY one! ANYTHING GOES! The Design Team has pulled out the Simon Says EXCLUSIVE dies to use on our projects this week and boy are they FABULOUS! I used the wicked fun Circle Border Craft Die for my card and I am in LOVE with this die! It's so fun! I first used the K & Company Section Smash tape in strips on my card and then ran the card through the die cut machine with the die taped in place. I love the way it looks! My sentiment is from the Hero Arts/Studio Calico Heyday Sentiments set. I love this set! So useful! I embossed it on black using Stampendous! Embossing powder in white. If you haven't checked out Simon's great dies yet, you totally should. Just say'n. 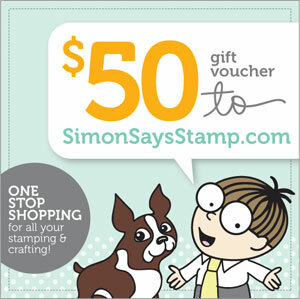 AND...you DEFINITELY should play along with the Anything Goes Challenge because one lucky winner will win a $50 Voucher to the Simon Says Stamp Store! love how you did the die right over the design so cool! I love this card!! Absolutely fabulous!! This is one awesome card, Jennifer! I love that smash tape. Is it like washi tape? Very clever of you to die cut through it! I love how it looks! That card is awesome! It is very fun and colorful. I love that die. To answer your question on my blog, that long, pointy thing is a fabric tube turner. I am using it to make teething worms for my baby niece. I always thought Simon Say Gimme All Your Money. Huh? I don't think Simon really wants me to die? I'd quit giving him money if I were dead (which is also why there aren't subliminal messages in heavy metal albums telling you to kill yourself--it is counter-productive to kill off your fan base). I've been trying NOT to look at Simon's new dies. Simon is evil and wants me to go broke. LOL! I love your card though. And I have to say that I did see that die and couldn't really fathom the usefulness of it. You have shown me the light! Can we get an 'amen'?! A fabulous card Jennifer, I love the Smash tape and it compination of colours, it's looks stunning with having die pierced showing through. Amazing card, Jennifer! 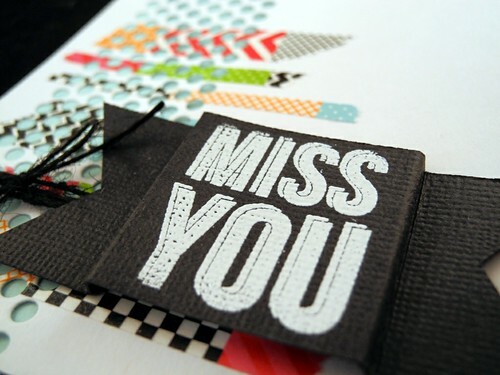 I love the way you die cut through the strips of washi too, very cool effect! Very cool Jingle~love this design!!!! super cute idea! love the die and tape! This card is fabulous! Would make a great guy card too! Wonderful card....I LOVE this die! Such fab, funky colours, and that circle die is fantastic! Amazing Jennifer! Just love your style!! So loving this fun design and I may need to go look for that die as this is the second time I've come across a card I just loved that used it. Pinning this! LOVE this card! 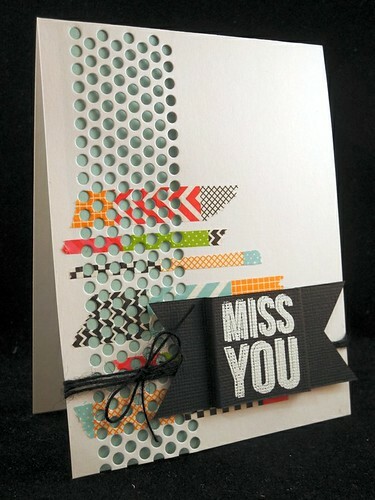 Fabulous colors and I love the that you cut through the washi tape! Cool! I love that Smash tape design, and you took it to a totally new level of awesomeness. Blessings!